There were no reports of major damage, serious injuries or deaths after tornadoes touched down in three Plains states Thursday during strong spring storms. 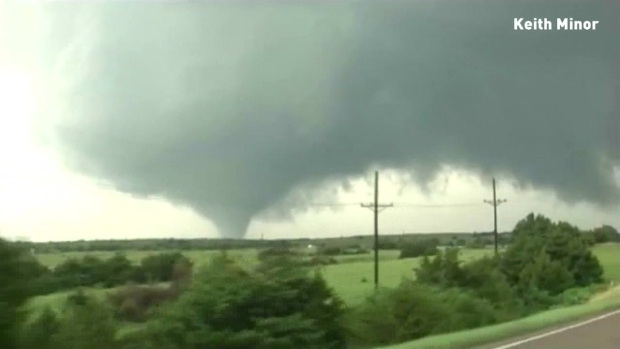 The National Weather Service logged nearly 20 reports of tornadoes from the states of Kansas, Oklahoma and Texas and numerous reports of high winds and hail. Video from KFOR-TV's chopper can be seen in the player at the top of the page. Tornadoes touch down in three Plains states Thursday, though there were no reports of major damage, serious injuries or deaths. Meteorologist Michael Scotten in Norman, Oklahoma, said four tornadoes were reported in western Oklahoma and two in northwest Texas. 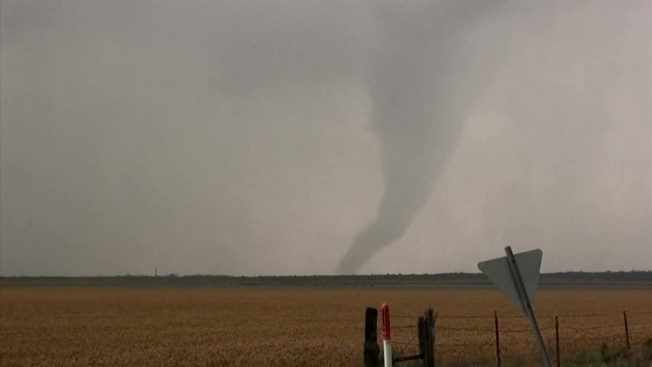 The twisters struck near the towns of Duke and Corn, in Oklahoma, and Crowell, Texas, Thursday afternoon. Heavy rains and hail were reported across much of the region, with flash flooding reported in Great Bend, Kansas. No serious damage or injuries were reported. It was the second day of storms in the Plains states and "intense" tornadoes were forecast for the Southern Plains through Friday. See the latest forecast information here. Tornado spotted between Seiling and Waynoka, Oklahoma.